I’ve spent a few days cleaning up photos and document scans from our recent trip to the National Archives at College Park. We only had about a day and a half there, but enough time to do several pulls of both pictures and documents related to Sebastian’s great grandfather’s service in World War I, as well as that of his two brothers. Now I was well aware before we went that the records in College Park are unit records, not individual records. I’ve heard from genealogists who recommend not researching there because they are bigger, broad records rather than individual records. But I don’t agree with that view of researching. Because you know what I found there? 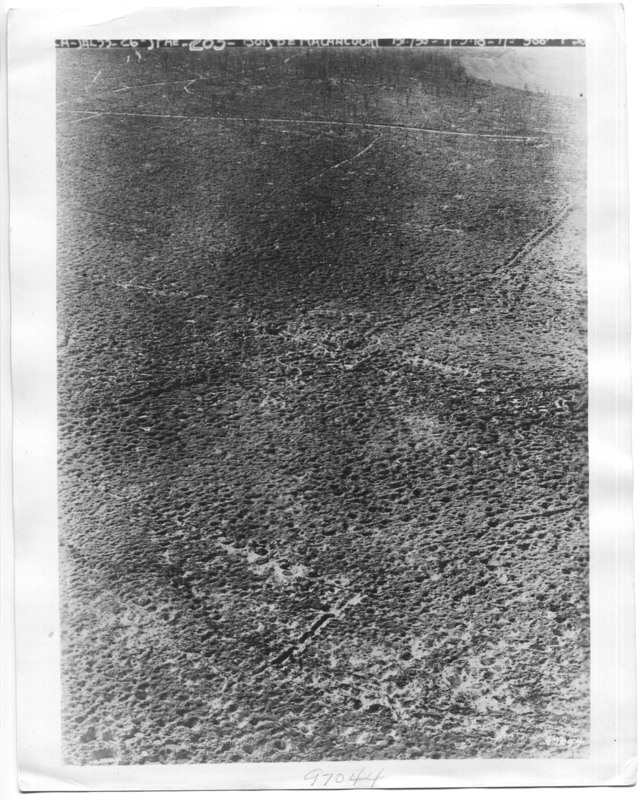 Hand-drawn maps from the fields of the Meuse-Argonne Offensive showing his great grandfather’s company location shortly before the time he suffered his “severe leg wound.” One of those maps had a large splatter, and it wasn’t mud or coffee. It was a humbling moment where you say a quick prayer that the person next to the map’s custodian didn’t suffer or, miraculously, survived and came home to a happier life. 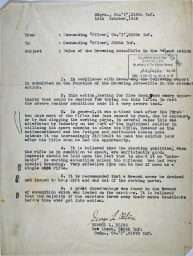 I found promotion documents for his great grand uncle that explained why he was promoted (the previous Sgt was killed in the last battle), and the documents that showed he likely would have been promoted again if not for being gassed and landed in the hospital for a while. These records include the list of every place companies were transported or marched from their arrival in France to the day they left. No, these aren’t records that promise to have a relative’s name on every page, in every folder, or even in every box. But they are the bigger picture documents that put the experiences of our relatives in context. Without that context, we don’t really have much of a story. 1. During the period September 26th to September 30th while this Company was attacking about 25,000 were fired. All the active guns of the Company were in action at one time or the other. No stopages were reported due to malfunctions of the mechanism or to breakage of parts. 2. Attention is directed to the inadequatcy of the supply of spare parts furnished with the guns and of the lack of suitable containers for small spare parts such as springs, etc. There was nothing from Company A, so it was either lost or never filed. 1. 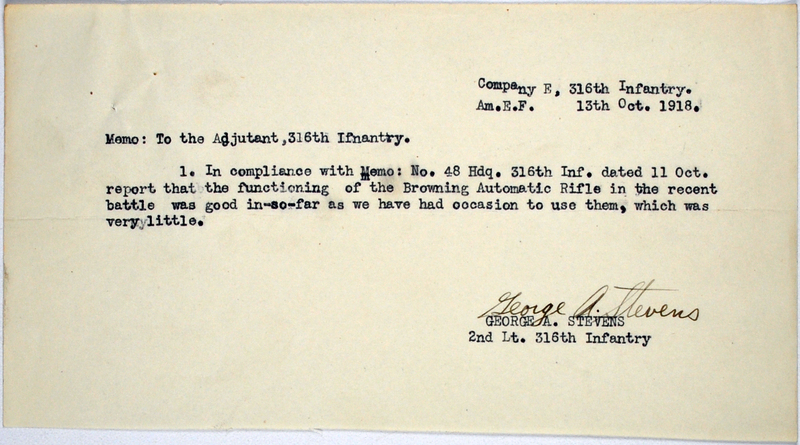 In compliance with memorandum Hq 316th Infantry, A.E.F. October 11th 1918. Would advise that the Browning automatic rifle is a very good weapon for defensive warfare, but when used on the offensive it will not stand up. In the recent operation where the men were compelled to lie in shell holes and go through the brushes and barb wire the rifles would get clogged up and become useless. 2. 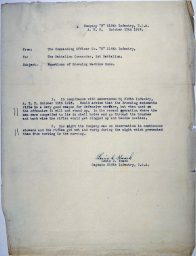 One night the Company was on observation in continuous showers and the rifles got wet and rusty during the night which prevented them from working in the morning. 1. The Browning Automatic Rifle for clear weather are considered very satisfactory. 2. During the recent drive, we found them to be very unsatisfactory, owing to the enormous amount of rain and much which we had to content with. The Automatic Riflemen complain of their jamming and lack of feeding properly. They require the greatest amount of care to be kept in a working condition. Company D was also silent, or their records were lost. 1. In compliance with Memo: No. 48 Hdq. 316th Inf. 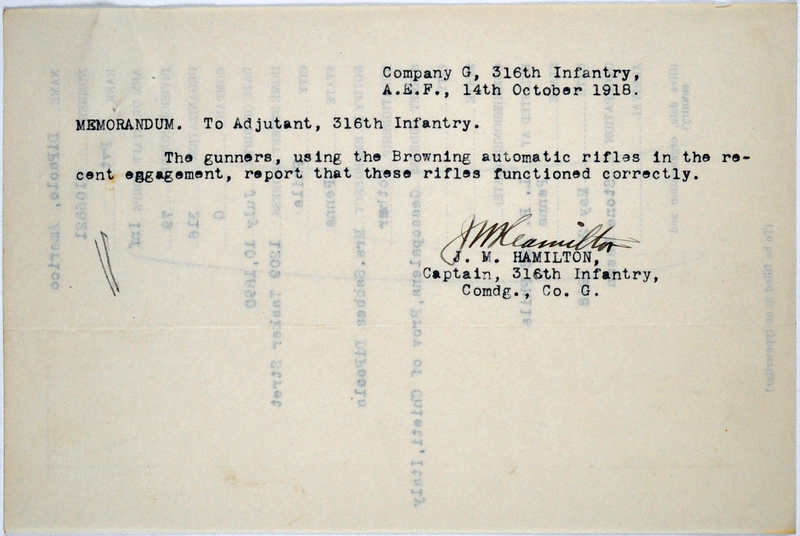 dated 11 Oct. report that the functioning of the Browning Automatic Rifle in the recent battle was good in-so-far as we have had occasion to use them, which was very little. Company F, well, I have questions. 1. Complying with Par. 3 Memo 48. Hdqs. 316th. Inf, AEF, October 11th. 1918, have nothing to report. First, there are so many questions about the structure of this memo. The strange and inconsistent use of punctuation and abbreviations. Is this passive aggressiveness for not wanting to file reports when you could be fighting? Is paperwork a pain? Are you pissed or happy you may have missed out on some fighting? Questions, I have them. 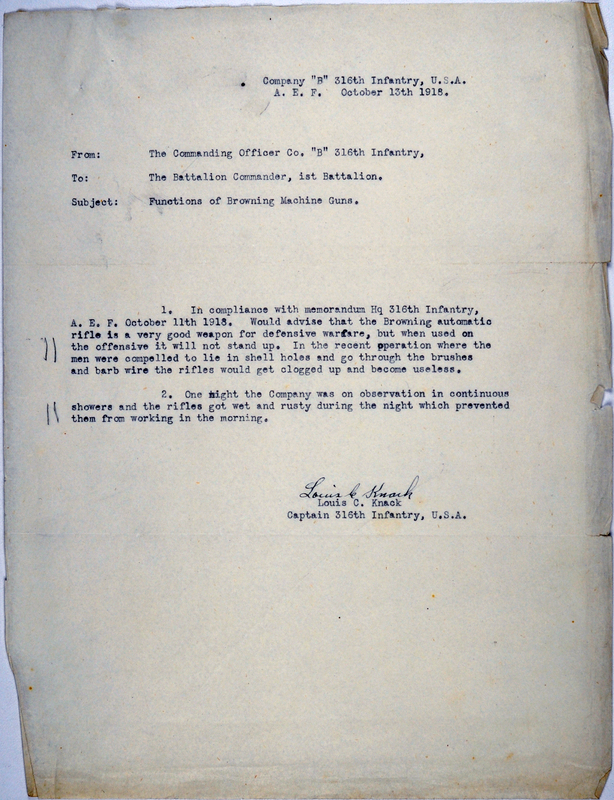 Unfortunately, I was scanning for Company M, not F, but now I want to know more about the abruptness of 1st Lt. Large. Nothing to report? I get no details, but absolutely nothing? Company G, while slightly more cooperative than Company F, still files an interesting report, but not for the report content. 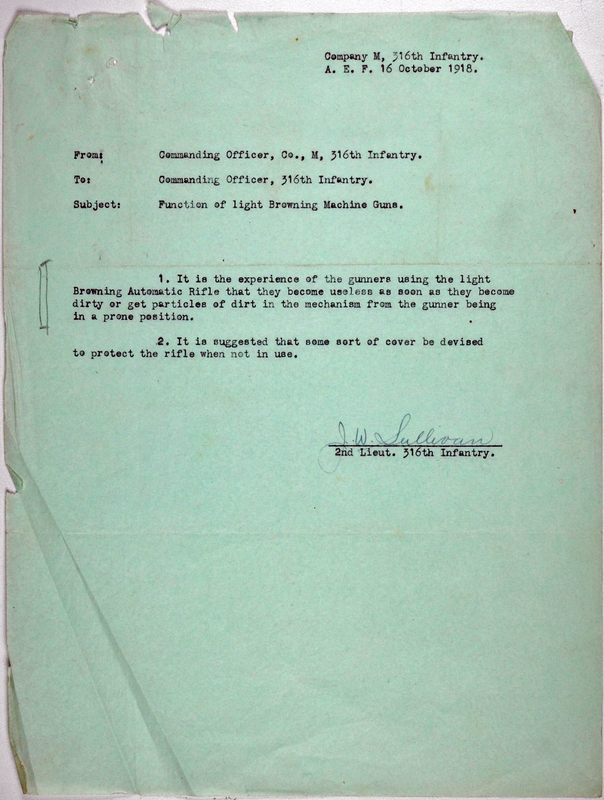 Rather for the document on the back of the report. It seems they just grabbed a random Private’s file and typed it up. At first I worried that it was because the file was no longer of use, but it turns out that Pvt. 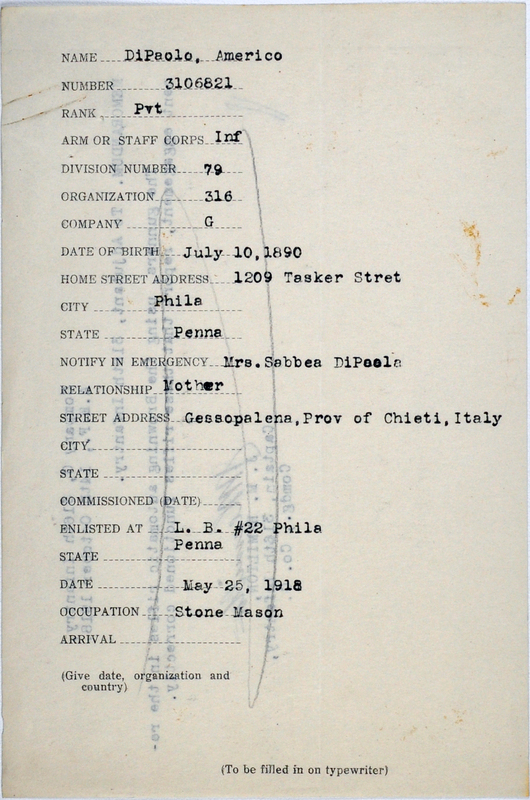 Americo DiPaolo did survive the war and came back to his new homeland in the US to continue his work as a stone mason. He passed away in 1963 and is buried in Arlington National Cemetery. 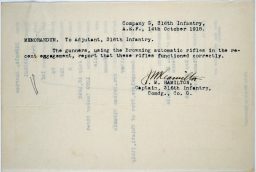 The gunners, using the Browning automatic rifles in the recent engagement, report that these rifles functioned correctly. Company H, well, they were less than pleased with the gun and couldn’t be bothered to find a typewriter. Or maybe their typewriter was shot while they were trying to fix their BAR. 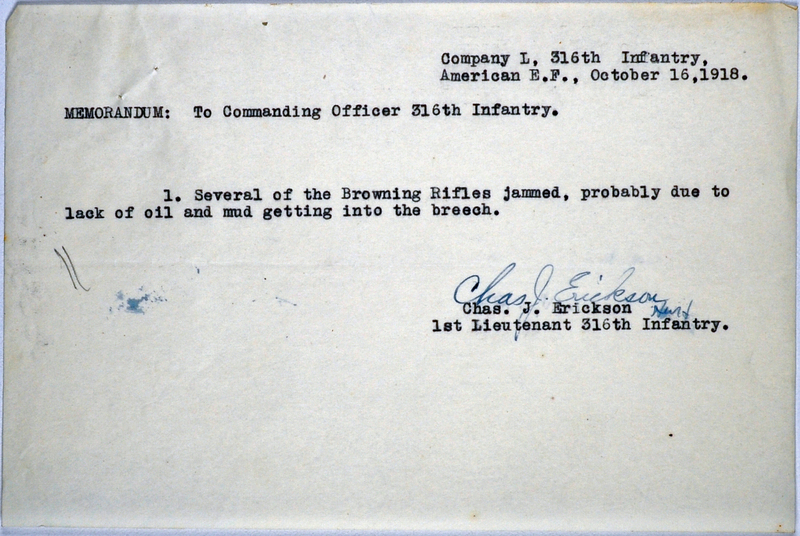 Perhaps the detail behind 1st Lt. George Bliss’s response on behalf of Company I may be why he was continually promoted and ended up retiring from the New York National Guard after serving in WWII and even into the Vietnam era. 1. In compliance with Memo. 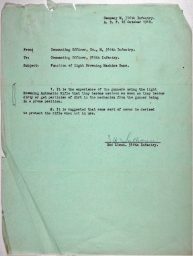 48, the following report is submitted on the function of the Browning Auto-Rifle in the recent action. 2. 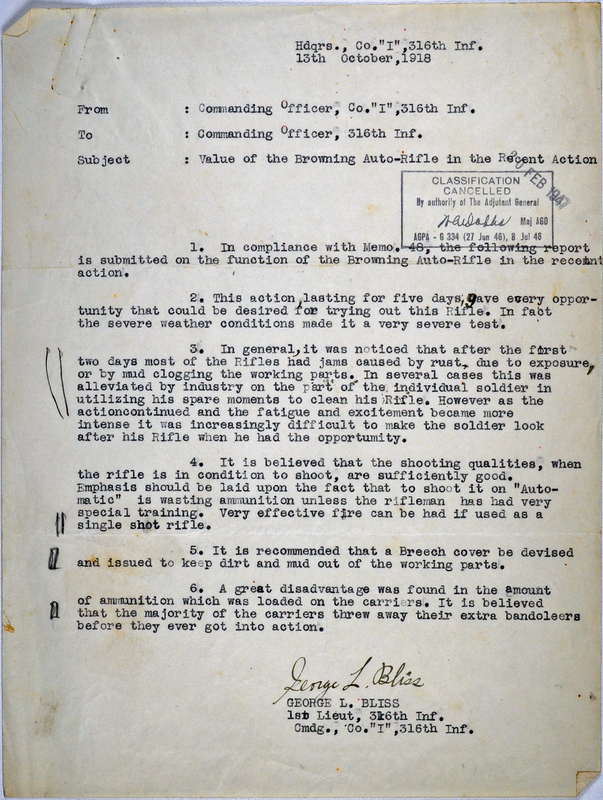 This action, lasting for five days, gave every opportunity that could be desired for trying out this Rifle. In fact the severe weather conditions made it a very severe test. 3. 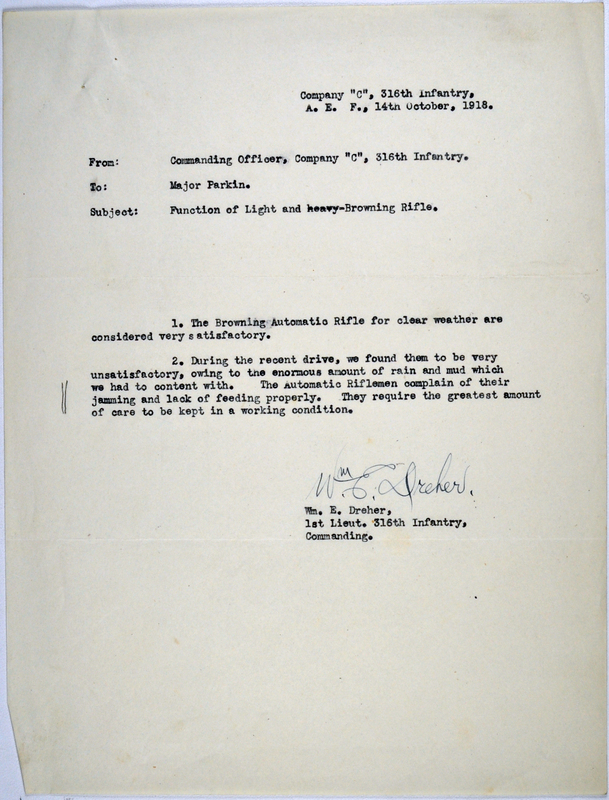 In general, it was noticed that after the first two days most of the Rifles had jams caused by rust, due to exposure, or by mud clogging the working parts. 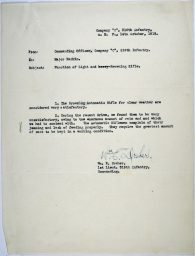 In several cases this was alleviated by industry on the part of the individual soldier in utilizing his spare moments to clean his Rifle. However as the actioncontinued and the fatigue and excitement became more intense it was increasingly difficult to make the soldier look after his Rifle when he had the opportunity. 4. It is believed that the shooting qualities, when the rifle is in condition to shoot, are sufficiently good. Emphasis should be laid upon the fact that to shoot it on “Automatic” is wasting ammunition unless the rifleman has had very special training. Very effective fire can be had if used as a single shot rifle. 5. It is recommended that a Breech cover be devised and issued to keep dirt and mud out of the working parts. 6. A great disadvantage was found in the amount of ammunition which was loaded on the carriers. It is believed that the majority of the carriers threw away their extra bandoleers before they ever got into action. Company L gets back to short and sweet reports. 1. 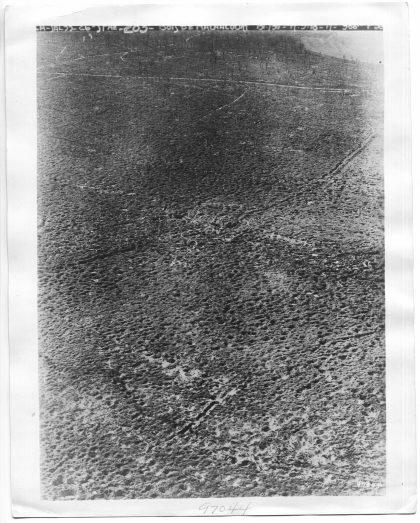 Several of the Browning Rifles jammed, probably due to lack of oil and mud getting into the breech. Again, more company reports are missing or were never filed, so we jump to Sebastian’s great grandfather’s group, Company M. This is where more documentation would be awesome. Did his great grandfather get one to test? If only we had a time machine and could go back and ask. His great grandfather was still in the fight at this date. 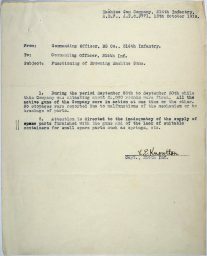 He would only obtain his severe leg wound a few days before the armistice. 1. It is the experience of the gunners using the light Browning Automatic Rifle that they become useless as soon as they become dirty or get particles of dirt in the mechanism from the gunner being in a prone position. 2. 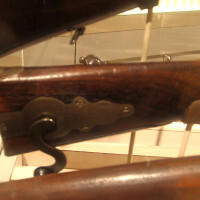 It is suggested that some sort of cover be devised to protect the rifle when not in use. 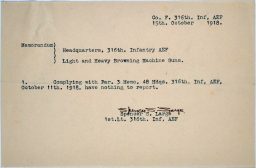 I hope you readers enjoyed a least a little insight into 99-year old records with firsthand accounts of newly issued firearms. I know I enjoyed going through every one of these documents, even when I was having moments of repeating “please don’t tear, please don’t rip!” while separating folded up pieces of onion skin paper. A happy veterans day to all who have served. 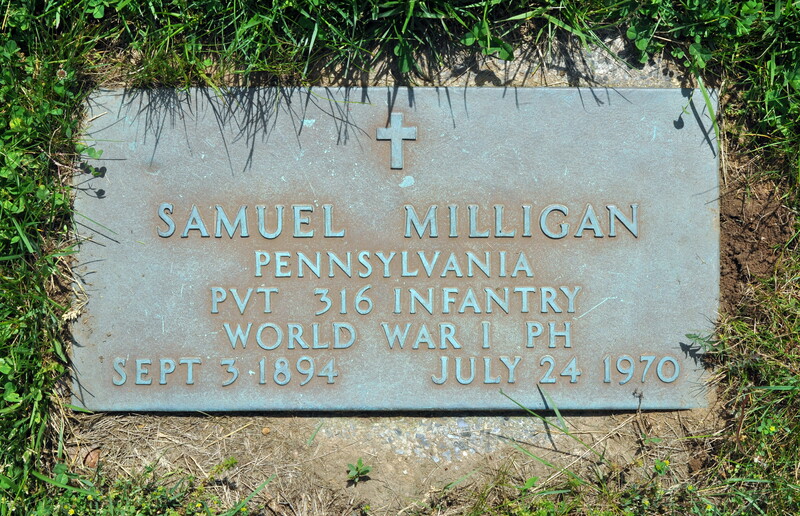 I’ve done quite a bit of research into my Grandfather, John J. Milligan Sr.’s service on the Belgian front in December to January 1944, and at this point understand most of what his unit was doing during the time he got on the front until he was wounded about a month later. 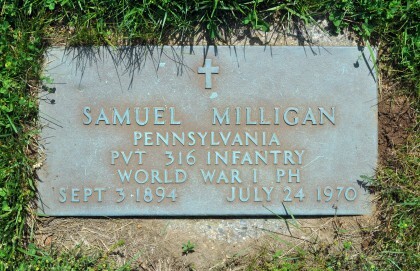 My great-grandfather, Samuel F. Milligan, served in the First World War, and I have only begun to research his service. 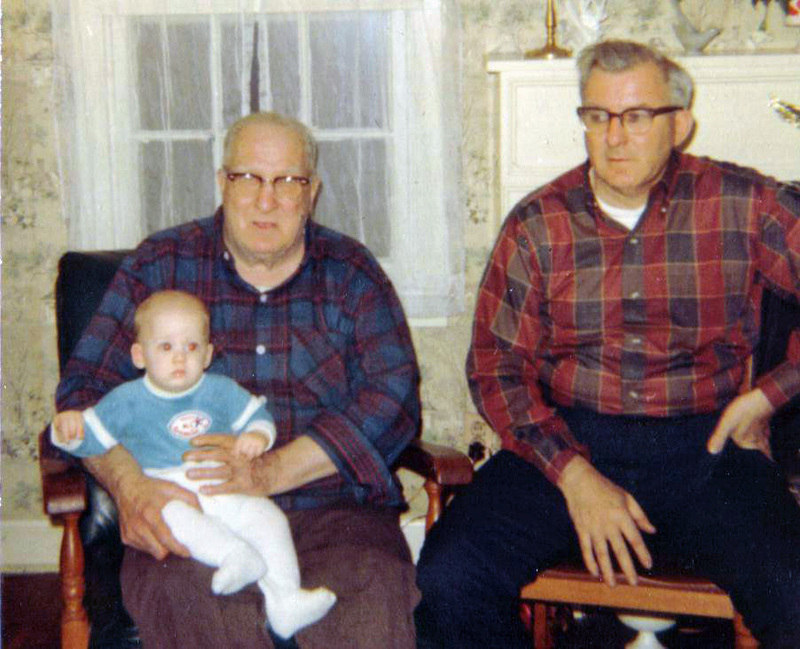 On the left is my great-grandfather and World War I veteran Sam holding my oldest first cousin Billy (who also served in our nation’s military). To the right is my grandfather, World War II veteran. The picture was taken about 1966. I never knew my great-grandfather, since he died a few years before I was born. In piecing together his service, I don’t have the advantage of having heard some stories, like I did from my grandfather. 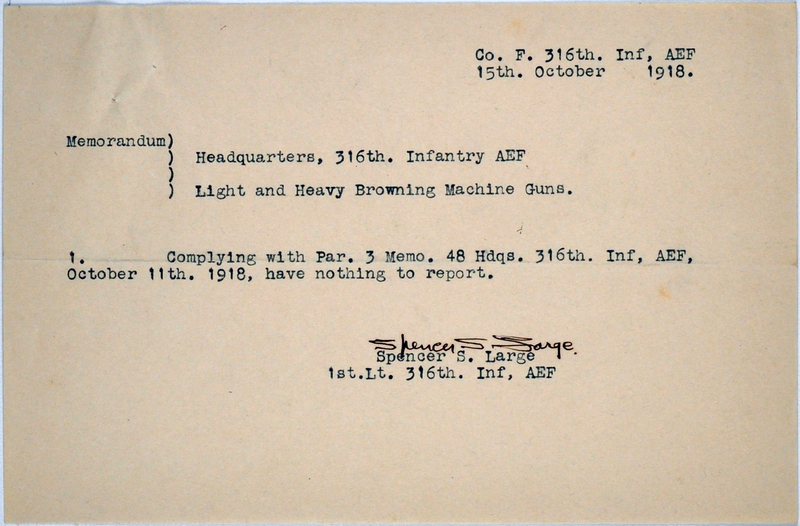 I arrived in France July 18th, 1918, took part in the Meuse-Argonne Offensive until wounded on Nov 6th, 1918. 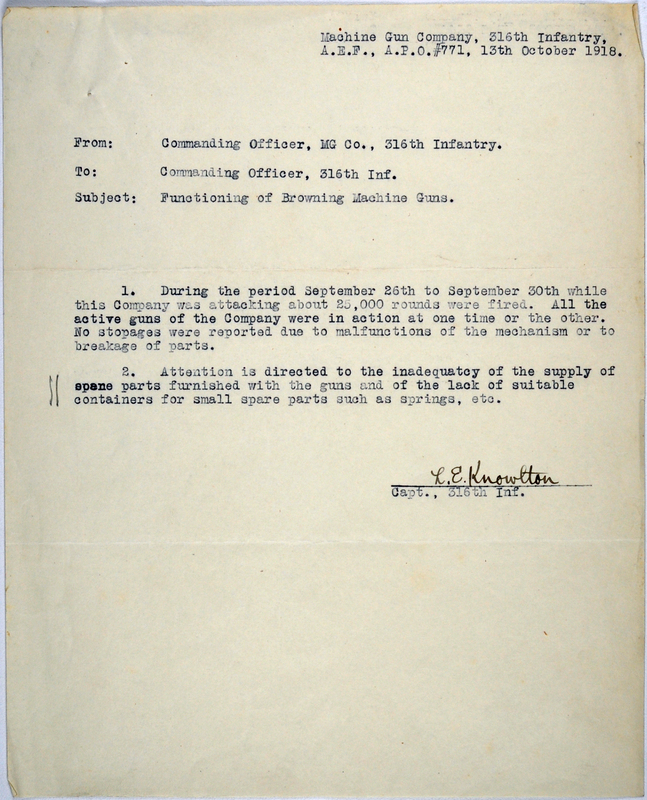 I was removed to Base 67 on November 11th, 1918. I left Bordeaux on March 12, then arrived in Embarkation Hospital #3, New York City. 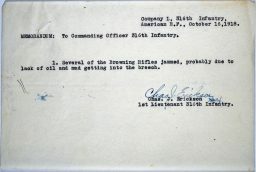 I was discharged from Camp Dix April 19th, 1919. Camp Dix is now Fort Dix, in New Jersey. Sam’s record says he was severely wounded in the left leg on the 6th of November. 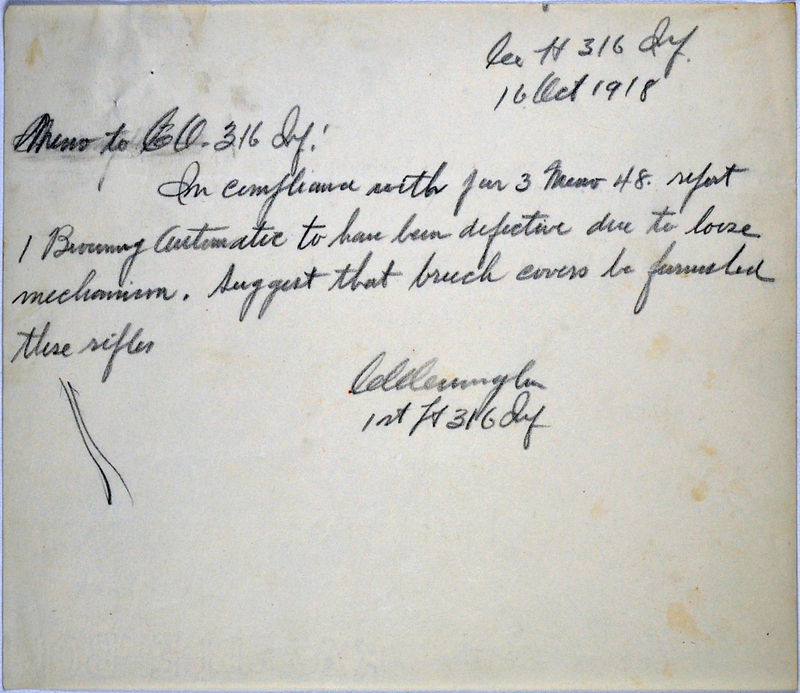 Ninety seven years ago to the day, on the 11th hour, he would have heard the guns fall silent, and would be removed from the front to face a long recovery. A generation later, my grandfather’s story would sound much the same. As I mentioned, I never knew my great-grandfather, but I also never even heard of his service until I discovered it, and neither did my father. If there was one thing my grandfather talked about less than the war, it was his family. Sam would later serve the Civilian Conservation Corps, but he had a lot of personal problems later in life, and struggled with alcohol. My grandfather did not get along with him. He died 24 July 1970 and is buried in New Jersey, not far from where I live now. 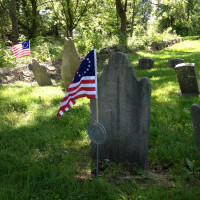 My research is meant to be a tribute to all my ancestors who served. Whatever faults my great-grandfather may have had as a person and as a father, his service deserves to be documented and remembered. Once upon a time, Sebastian compared the historical concept of a militia to something like that of a modern volunteer fire department. I thought that was a pretty good analogy at the time, but since then I’ve learned that Philadelphia actually has a private military organization. 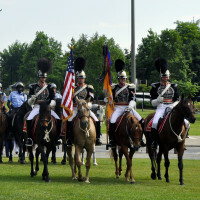 The First Troop Philadelphia City Cavalry is a purely volunteer, privately organized cavalry troop that has been called into federal military service as needed since 1774. 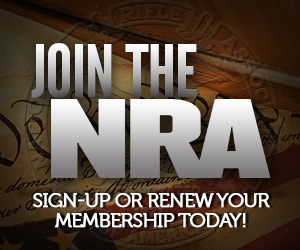 Our opponents in the gun control movement have often derided the idea of “private militias,” even though they played a significant role in the founding of this country. 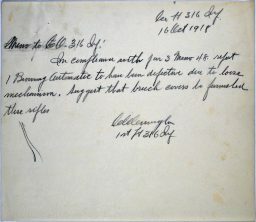 The history page of the First Troop notes that even though they had been operating in defense of Philadelphia alongside the Continental Army, it wasn’t until 1811 that “a law was passed authorizing a regimental organization of the cavalry.” They weren’t even incorporated under state law until 1863. Today First Troop requires prospective members to also be currently serving in the National Guard, but reading the troop’s history page is an interesting look back at volunteers who felt a duty to country and community. As our founders understood it, the concept of a privately organized citizen militia was not about “insurrection,” as our opponents claim, but about service. The piece even mentions “The Coffee Mill Sharps,” though the author apparently hasn’t kept up with the research on this front since it seems that there’s more consensus now that it was never designed to grind coffee, but likely grain. Regardless of that minor error on the coffee grinding Sharps, the piece was a really interesting read when it comes to the history and value of coffee in this country. There are quite a few neat things that have popped up to honor the 70th anniversary of the D-Day invasion. One that stuck out to Sebastian was this collection of “then and now” photos from the Normandy beaches. 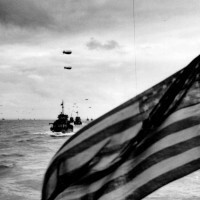 On Twitter, Charles C. W. Cooke has been sharing a fantastic collection of historic photos from the invasion. This is one that stuck out to me. From NRA, Life of Duty has a piece where 94-year-old paratrooper John Perozzi visit the invasion site. He was shot during the invasion and still carries that bullet in him today, yet he recovered and went on to fight again, including at the Battle of the Bulge. I have been interested in the BBC’s posting of current British celebrities reading BBC News scripts from June 6, 7, & 8th. I know there are many other tributes online today, and I’d love to see any favorites from readers today in the comments. Because I know how wise you readers are in your varied studies and hobbies, I hope that you can help me out with something. I’d like to know if the abbreviation for the rank of ensign in a Revolutionary War militia is the same as what we use now in the Navy. One of my ancestors was an ensign in the Henry County, Virginia militia, and I’d like do properly document that with an abbreviation. However, given that the rank was abolished in the Army in 1815, and the fact that I don’t know if things would be quite the same in the militia, I thought I would try to find out what the proper format is in this case before I have it engraved on something. So, military & history buffs, what do you say? This is kind of awesome. 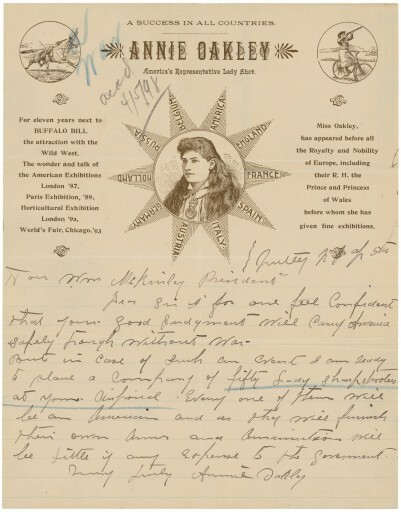 It’s a letter from Annie Oakley to President William McKinley in 1898 offering the services of American women sharpshooters who could provide their own arms and ammunition to assist the US should war break out. 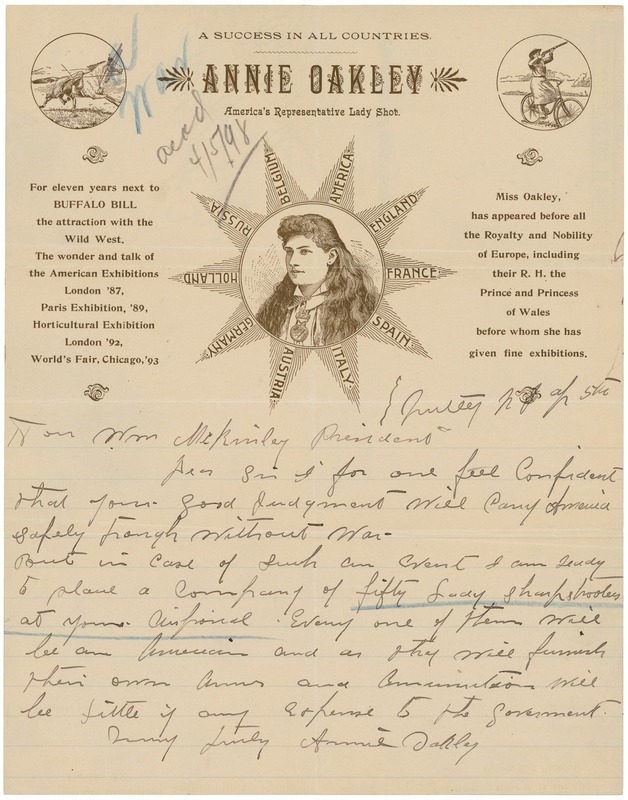 I saw this on the National Archives Tumbler which does a pretty good job of not only digitizing these holdings, but trying to share some of the interesting finds that Americans might enjoy seeing.